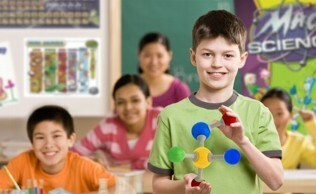 Mad Science’s in-class interactive workshops and pre-school programs are designed to reinforce core science concepts. With professional lesson plans, unique equipment and animated instructors, Mad Science workshops are sure to be a hit with your students. 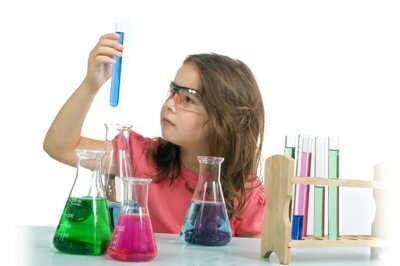 Our hands-on approach and focus on science and engineering teaches kids about the fun of science and helps to spark their imaginations! Structured as an in-class field trip, a Mad Science workshop is a convenient way to offer students a hands-on science experience without leaving the school. 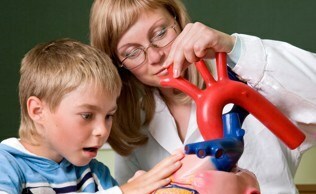 Mad Science workshops offer preschool to sixth grade children truly engaging learning experiences. Dozens of workshop topics are available. We come to you so there is no need to rent buses, get waivers signed or recruit parent volunteers. We are like an in-class field trip. These programs are highly educational and complement the Ontario Science and Technology Curriculum so there is no educational "down-time". We provide a “Pre-and-Post Workshop” package that contains resources and activity ideas (including language arts and math extensions) designed to maximize the educational impact of each workshop. You choose the topic and we supply all the materials, equipment and scientist(s) needed. 60 minutes in duration and can be presented in English or French. Over 40 topics from which to choose. Most appropriate for Grades 1-6, some topics suitable for Grades 7 and 8 (ask us for recommendations). Each workshop is jam-packed with exciting demonstrations and hands-on activities. All of our workshops have a related take-home item included. After School Program Partner Schools always get our lowest workshop price! Call for details. No deposits are required and your satisfaction is guaranteed. Please note : There will be a $50.00 cancellation fee if cancelled <48 hours before event. Any group of kids that you need to "edu-tain"
After School Program Host Schools receive Workshop of the Month pricing every month! Ask about our discount for P.A. days and school/summer holidays. For more information, please call Mad Science of Windsor at (519) 839-6094.